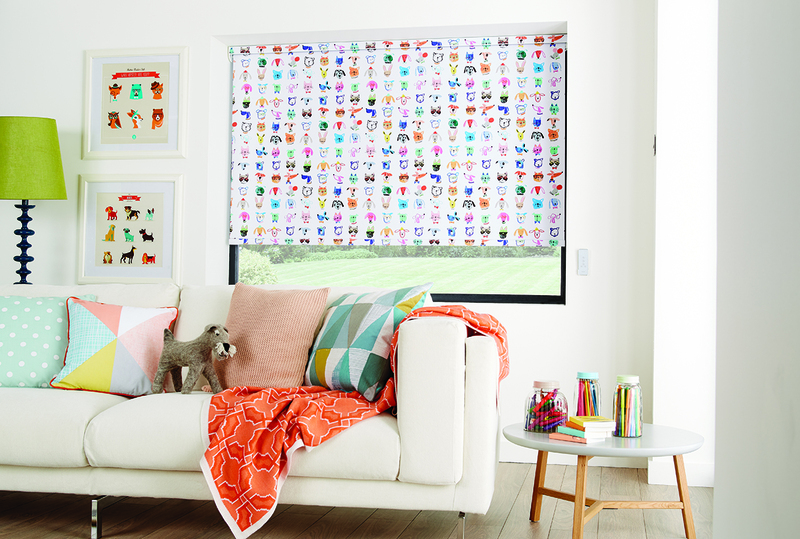 Our roller blinds offer a perfect combination of style, quality, and performance. With a vast range of UK manufactured fabrics from the simple to sophisticated designs as well as many insulating fabrics, which can be complimented with a wide selection of finishes to suit everyone. We manufacture all our blinds, fitted with quality metal components which will provide effortless performance. 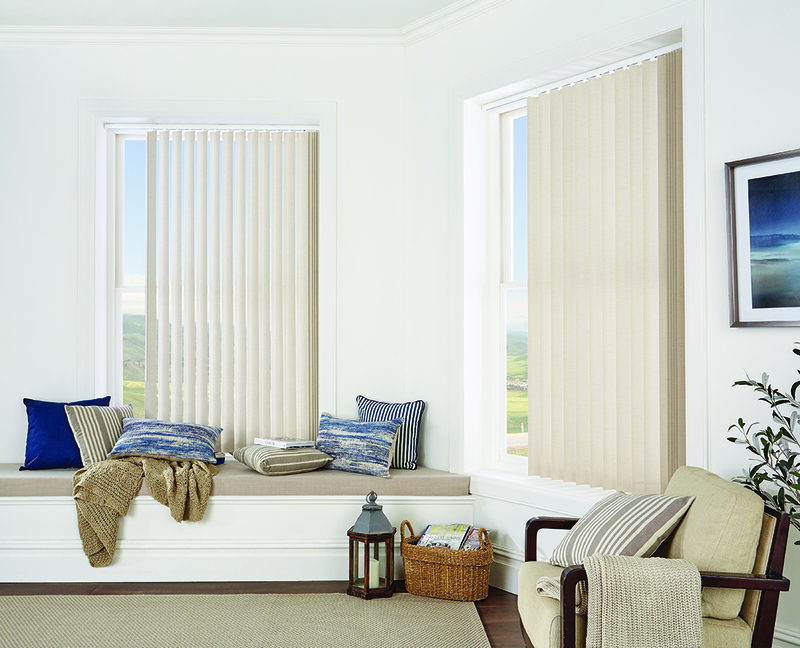 Vertical blinds are probably the most practical and versatile solution to sun shading problems. Manufactured using the highest quality UK materials to include anodised aluminium headrails with internal component parts using high grade UV stabilised materials including self-lubricating plastics for smoothness of operation. All of our fabrics are UK manufactured and ensure that their performance is as good as they look, these blinds can offer a very surprising alternative with a modern range of fabulous fabrics with up-to-date fittings. 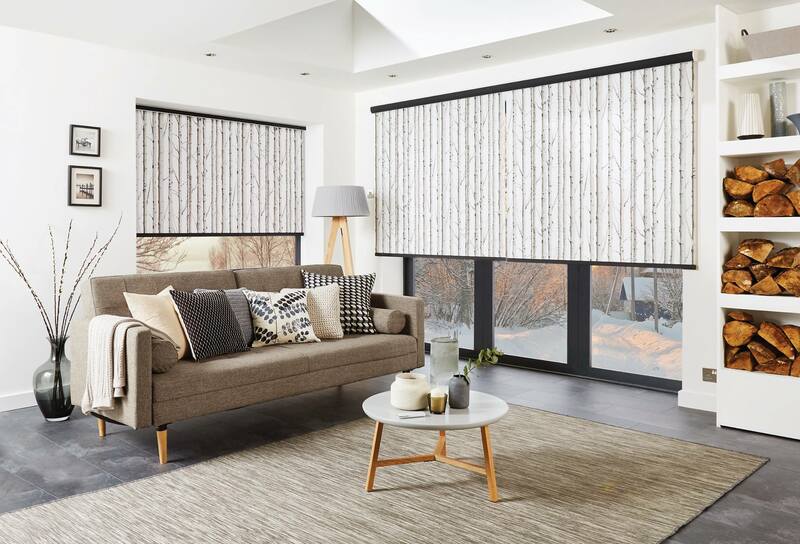 A perfect Blind for creating an impact with a striking blind for a modern home, visions gently filter and soften daylight whilst offering you the option of a privacy blind. The vision fabric collection features beautiful metallic finishes, delicates sheers, natural wood effects and a fashionable selection of muted tones. Combined with a number of headrail options and pelmets to compliment any interior. Now available with electric operations, available with remote control – perfect for any modern home. 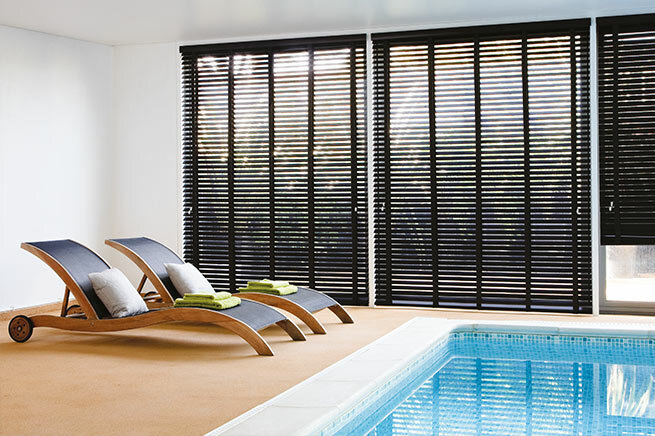 These blinds allow you to adjust lighting levels instantly by altering the angle of the slat, this unique blind offers perfect sun protection but with the added advantage of privacy and security. You can choose from the contemporary metal Venetian to the classic wooden Venetian, which are fitted with a bespoke pelmet. 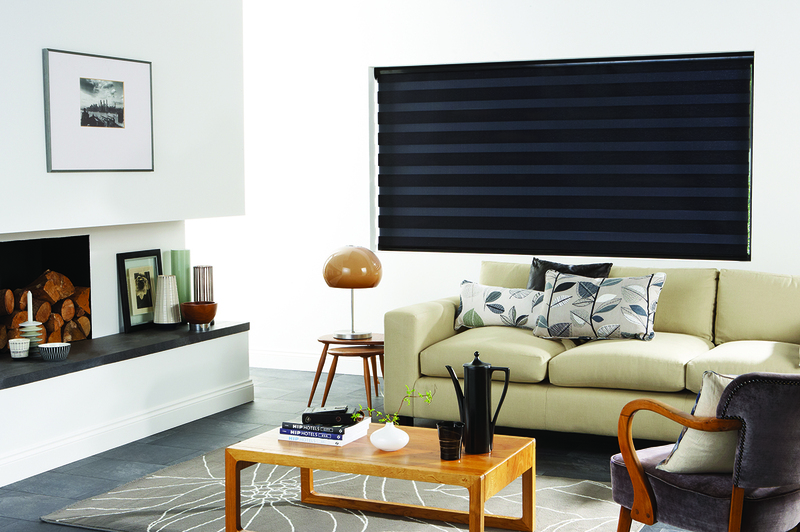 Panel blinds offer an elegant but versatile shade solution to any larger window, or they can be used as a room divider. Simply slide fabric panels along a track, which stack neatly behind one another when open. 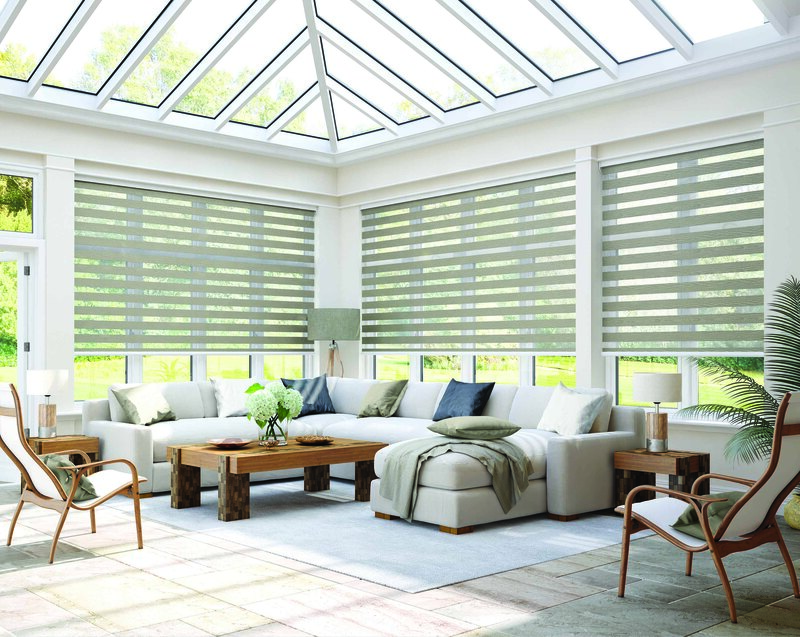 Made up of two layers of soft fabric connected by horizontal sheer vanes that gently filter sunlight whilst making different levels of privacy and UV protection as the blind is raised and lowered. Again, these blinds can be motorised with battery fitted inside the blind and operated by a remote control. Pleated blinds combined the key elements of flexibility, design and performance. With a large choice of colours and styles, many of the pleated fabrics are solar coated fabric, offering heat retention and glare reflection. Perfect for any conservatory roof with the ability to furnish awkward window shapes, which will keep your room cooler in the summer and warmer in the winter. These blinds not only look good but also keep energy costs down with their unique honeycombed structure. Chose from a variety of colours and styles to include blackout, these blinds offer enhanced privacy and a variation of operations, these blinds can be pulled down, up and both ways. Perfect Fit offer a unique system developed by Louvolite, these blinds require no drilling or screwing during the installation. 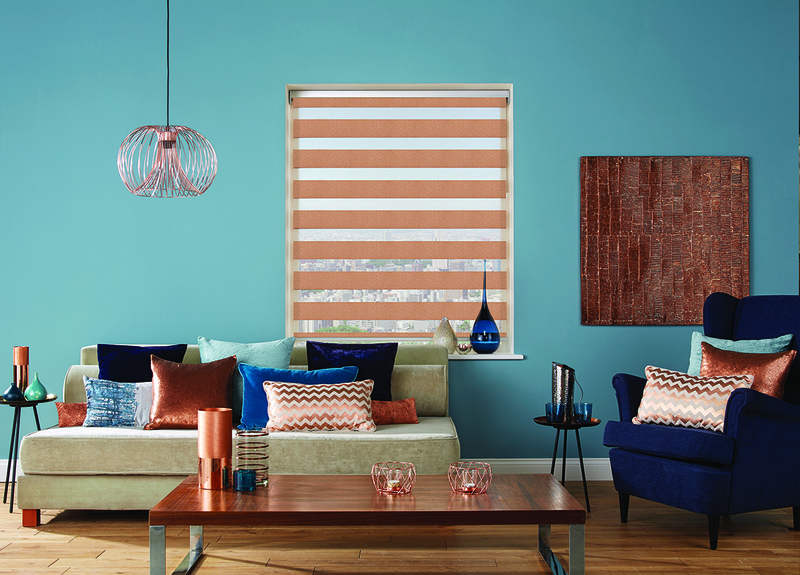 Quick and easy to install, stylish and contemporary in appearance, choose perfect fit to compliment your Venetian, pleated or roller blind to any window or door. The system is unique because the blind fits into the frame which moves with the window or door. Designed to fit your Velux roof windows perfectly, with a choice from a blackout Roller blind, whereby a goodnights sleep is a guarantee. An innovative and flexible blind system, available in Roller, Pleated, Cellular or Venetian. Perfect for bi-folding doors or perhaps a multizone blind which can be positioned to provide privacy and light control. The Venetians can be supplied with push up and slide control, so no need for long control which can be a nuisance. Offering the latest in blind technology, we can fit the one-touch battery into Rollers, Vision, Visage, Pleated, Venetian and Roman Blinds. All of these blinds can be operated by remote control with up to 15 blinds controlled on one remote. A rechargeable plug is supplied with all the blinds, offering more convenience at the touch of a button. Roman blinds have long been the answer for anyone looking to add elegance and luxury to their home. With a wide selection of fabrics to choose from and the added advantage of picking a lining and finish to suit the individuals requirements. 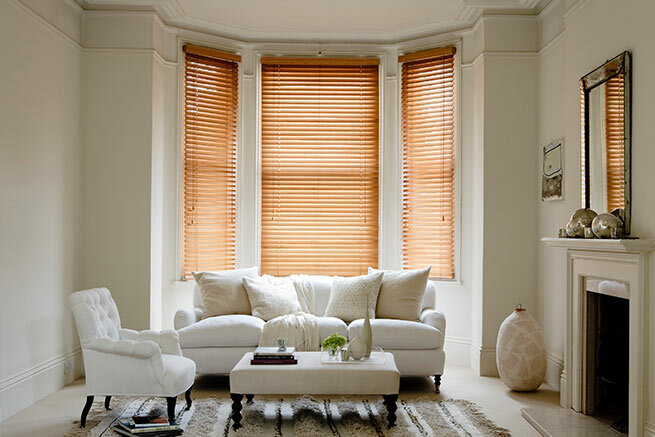 Whether it be an old cottage or a modern interior, these blinds are simply stylish and perfect for any home. These blinds offer unprecedented choice of luxury wood venetians with numerous options of colours and styles to meet everyone’s requirements. Practically stylish the Fauxwood emulates the warmth and richness of wood using a high quality PVC, offering the perfect solution for areas of high moisture.